When PepsiCo unveiled the stevia-based Pepsi True last week, the unofficial ceasefire between Coca-Cola and Pepsi came to a dramatic end and one of marketing's biggest rivalries sparked back to life. Pepsi True, which will go on sale in the US through Amazon later this month, will be packaged in a green-coloured can resembling Coca-Cola's Coke Life brand. It is a clear challenge to Coke, but only the latest of many salvos fired in a conflict that harks back to the turn of last century. Marketing decided to delve into the annals and explore the rivalry between the two soft drinks titans, highlighting some of their biggest spats. In no particular order, here are our favourites. As far back as the early 1900s, Pepsi-Cola and Coca-Cola were constantly using ads to snipe at one another over which drink had the most efficacious medicinal properties. Given that Coke originally had cocaine in the recipe, Pepsi was undoubtedly the healthier option. In 1975, Pepsi launched what has become the definitive taste test – the Pepsi Challenge. The test, which took place at the likes of malls and shopping centres, saw a Pepsi representative ask members of the public to blind-taste two cola drinks – one Pepsi, the other Coke. Invariably, the result was that most consumers preferred the taste of Pepsi. The Pepsi Challenge has also featured in much of Pepsi’s TV advertising. Coke later decided to play Pepsi at its own game, when in 2009 it ran a US promotion reminiscent of the Pepsi Challenge, trying to persuade consumers that its Vault drink tastes better than its rival's Mountain Dew. 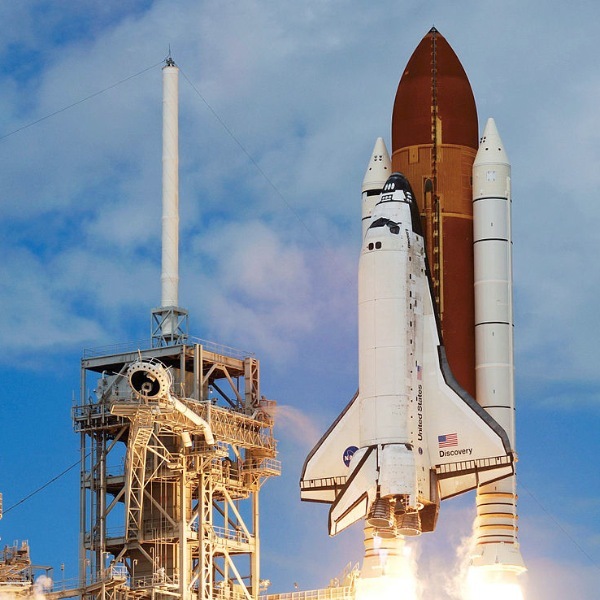 Not content with keeping their rivalry grounded on planet Earth, in 1985 Coke and Pepsi literally blasted off into space onboard the Space Shuttle Challenger. But despite special cans for zero-G and various other technological innovations devised to enable the crew to drink cola in space, neither product impressed the astronauts. 1985 also saw Coke cause controversy when it changed the formula of its core Coca-Cola product and rebadged it 'New! Coke', referring to the product as the "new taste of Coca-Cola". Research had shown it scored higher in taste tests than either Coke or Pepsi. Meanwhile, Pepsi execs had managed to obtain some samples prior to the official launch and upon trying the new formula, were as unimpressed as consumers turned out to be. Nevertheless, not leaving it at that, Pepsi promptly announced that it had won the Cola Wars and gave its entire staff a week off. Coke eventually replaced New Coke with the original recipe and the name Coca-Cola Classic. 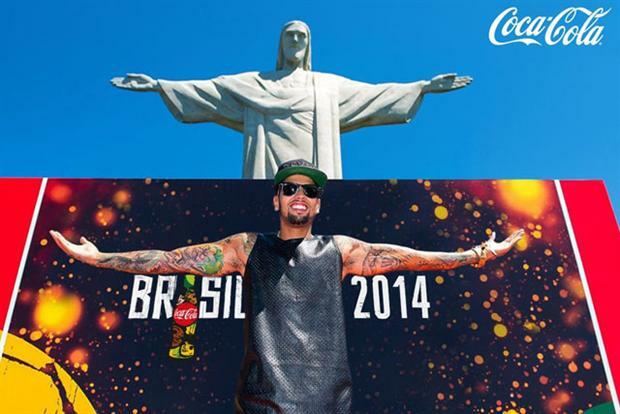 There are numerous examples of Pepsi trying to hijack Coke's FIFA World Cup sponsorship. In 2006, Pepsi sought to undermine Coca-Cola’s official presence at the 2006 World Cup in Germany with its ‘Pepsi Max World Challenge’ campaign. Then in 2010 the non-sponsor set out to hijack publicity surrounding the tournament from Coke, which was an official sponsor. Pepsi launched a global marketing campaign featuring a charity song, ‘Oh Africa’ in January 2010, as football fever for the South Africa-hosted tournament. It’s a strategy that Pepsi continues with. 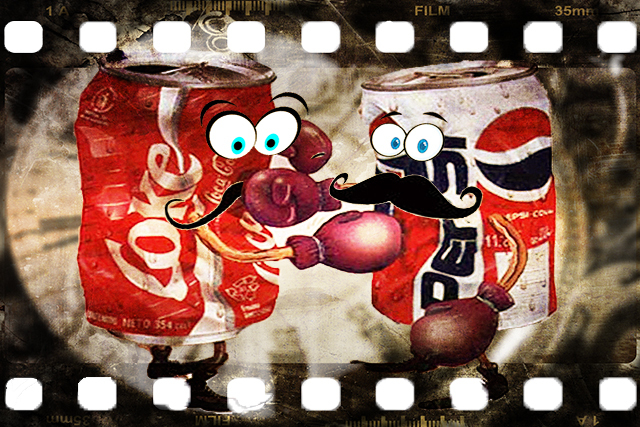 For this year’s tournament, Pepsi and Coke again went head-to-head in the build up. Coca-Cola launched its "largest marketing programme" in its history, while Pepsi launched a global TV campaign in more than 100 countries, with a digital version that viewers can interact with and gain a closer look into the streets of Rio de Janeiro. An antidote to all the venom-spitting, in 2009, Coca-Cola and Pepsi kissed and made up. Sort of. As part of a social experiment between the bitterest of fizzy drinks rivals, creative agency Amnesia Razorfish invited the two companies - both on Twitter, but not fellow followers - to go out on a limb and acknowledge one another. 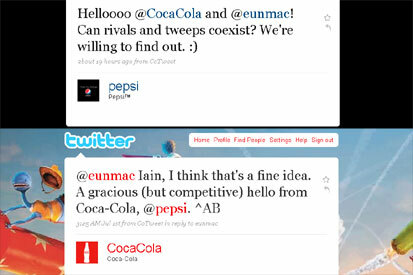 Amnesia Razorfish founder Iain McDonald sent a tweet which read: "RT to end an old war: Dear @pepsi and @cocacola, why not follow each other on Twitter and be friends :)"
Coca-Cola was first to respond: "@eunmac Iain, I think that's a fine idea. A gracious (but competitive) hello from Coca-Cola, @pepsi." Which evoked this response from Pepsi: "Helloooo @CocaCola and @eunmac! Can rivals and tweeps coexist? We're willing to find out. :)"
Which marketing style do you prefer?